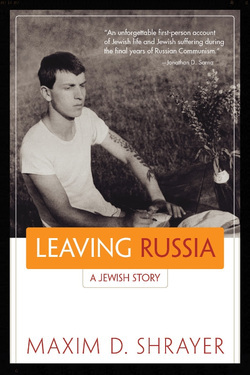 Leaving Russia : Maxim Shrayer, Reading and Book Signing April 5th, 2014 at noon. Barbecue to follow, weather permitting. 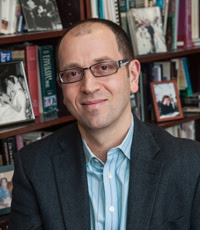 Please join us Saturday, April 5, 2014 at noon for a reading by National Book Award finalist and Guggenheim Fellow Maxim D. Shrayer, and for the closing day of our current exhibition, Proposals of Belonging. We at Street Road are excited to host this presentation in the complementary context of the Proposals of Belonging exhibition, in which artists Jenna Buckingham(Philadelphia) and Kaori Homma (London/Japan) explore experiences of being uprooted from home, and processes of finding and inventing new places, new homes, for ourselves in the world. Join us for a last look at these accomplished bodies of work and for Shrayer's moving story with its generous doses of humor and tenderness. Weather permitting, we will try to egg summer on with a barbecue after Maxim's talk.